Last Update: 04:04:30 PM EDT. This agreement telegraphs a change in Cuban policy -- now we need the cable. Google and ETECSA have signed a memorandum of understanding agreeing to negotiate a peering agreement that would allow cost-free data exchange between their networks once an undersea cable physically connects them. Google has worked hard to establish a relationship with ETECSA and the Cuban government. In recent years, Cuba, not the US, has limited the Cuban Internet. This agreement telegraphs a change in Cuban policy. 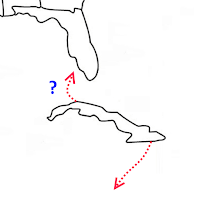 Today, nearly all of Cuba's Internet traffic is carried over an undersea cable at the south end of the island. 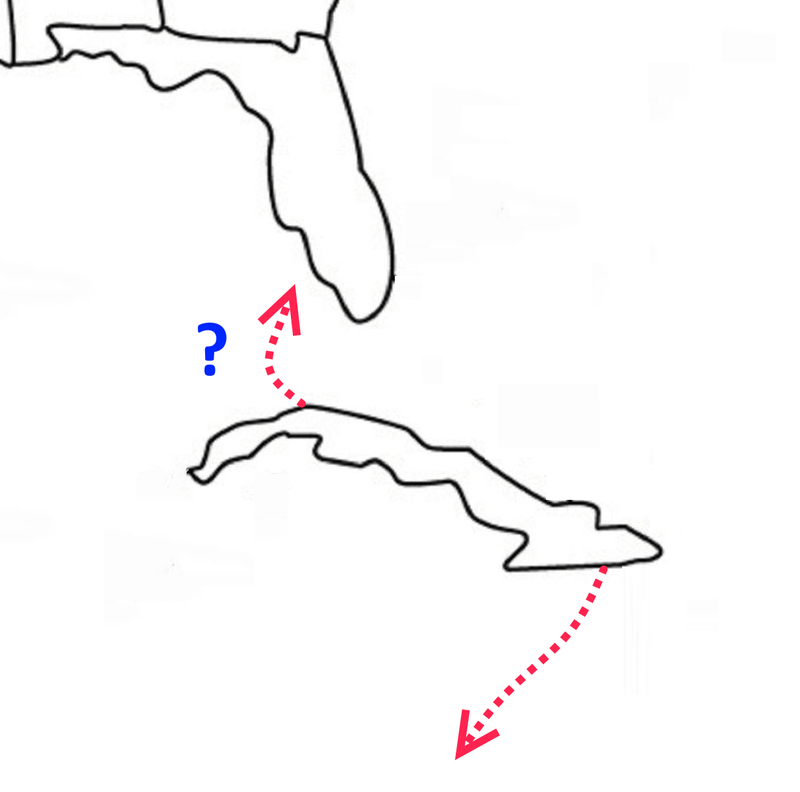 A cable from the Havana area to Florida would reduce the load on their inter-city "backbone" network that today carries Internet traffic to the cable landing in the south. That would result in a faster Internet and save ETECSA money. The next generation of low-earth and medium-earth orbit satellite connectivity can have a similar effect. ETECSA could use the savings from an undersea cable or next-generation satellites to cut prices, increase investment in infrastructure or increase profit. That would depend upon who is actually calling the shots at ETECSA. Over three years ago, Daniel Sepulveda, Deputy Assistant Secretary of State and U.S. Coordinator for International Communications and Information Policy, said he knew of at least a half dozen proposals — from US and non-US companies — to construct a north-south undersea cable between the US and Cuba. The cable has been stopped by politics, not economics or technical difficulty. It looks like Cuba is willing to relent on the politics. Trump's fighting this cable would solidify Cuba's political and commercial ties with China and Russia. 4G mobile trials have begun in Cuba -- what is their 3/4/5G strategy? During the first month of 3G mobile service, Cuban Internet use increased substantially. At the end of January, ETECSA had 5.4 million mobile users, 35% of which use the Internet and they are adding 5,000 new data customers per day. According to Eliecer Samada, head of ETECSA's wireless access group, the company is now at 160% of the expected capacity. As a result of that unexpected demand and damage due to the tornado that hit Havana in January, both data and phone service have been slow and unreliable. 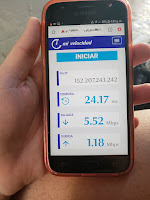 To alleviate these problems, ETECSA announced last week that they were accelerating 4G mobile trials along the north coast from Mariel through Havana to Varadero. That is a distance of about 100 miles with 44 4G base stations. The trial will be open to about 10,000 high-volume users who have 4G-compatible phones and have been using at least 2.5 GB of 3G mobile data per month in that area. (ETECSA reports that 7% of 3G network users account for 52% of the traffic). Andy García ran a speed test using his neighbor's account and recorded a download speed of 5.52 Mbps, upload speed of 1.18 Mbps and a 24.17 ms latency, but a few days later, he observed slower rates and Armando Camacho recently recently reported a speed of 3.2 Mbps download and 5.8 Mbps upload and he has posted the locations of 21 base stations in Havana. 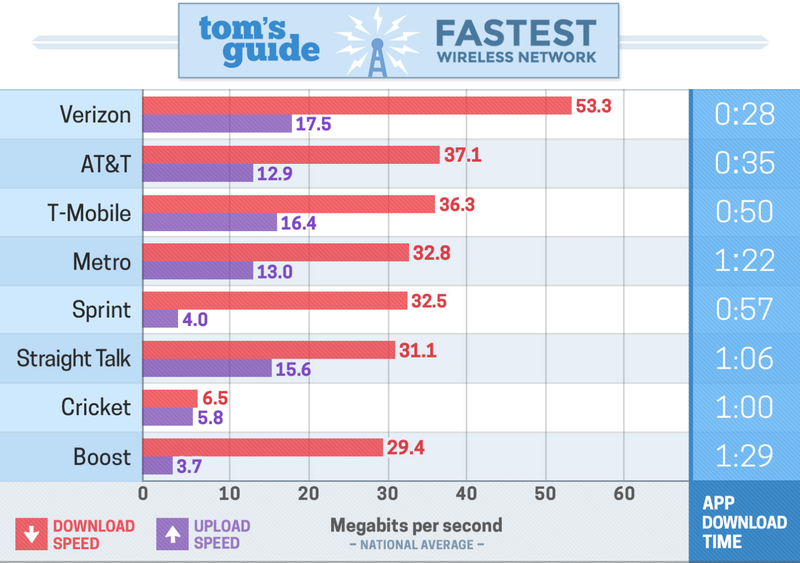 We can't draw conclusions about the post-trial speeds from a few tests, but they will surely be faster than current 3G speeds and considerably slower than the US LTE speeds reported last month by Tom's Guide. ETECSA expects this trial to divert enough traffic to improve 3G and voice service. If that is the case, it seems the current congestion is at the base stations rather than in backhaul from them. 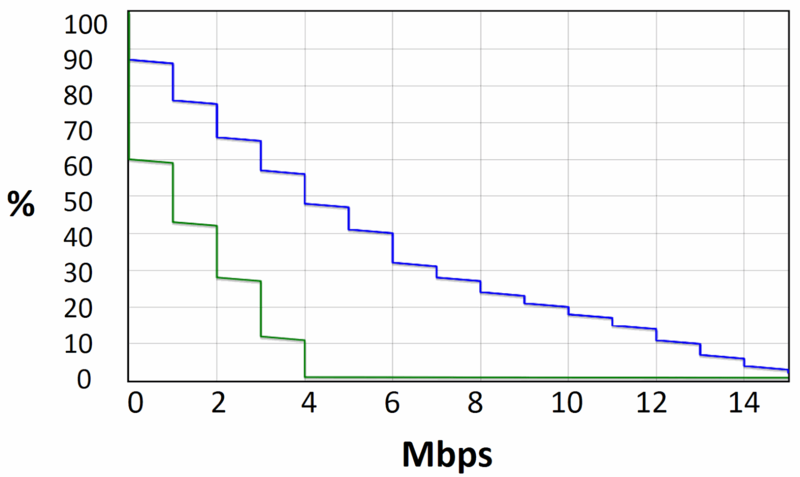 Regardless, I expect that backhaul capacity from faster 4G base stations will constrain 4G rollout in this and other regions. I don't know what ETECSA's mobile deployment strategy is -- what the balance will be between 3 and 4G capacity and pricing -- but I have suggested that they will gain trained, demanding users if they focus on bringing the cost down as quickly as possible. That would argue for cheap or even free 3G service. The average price of 1 GB of mobile data in Cuba is higher than that in 184 of 230 nations. (The price in ten of the 28 Caribbean nations is higher than in Cuba and India is the lowest-price nation). 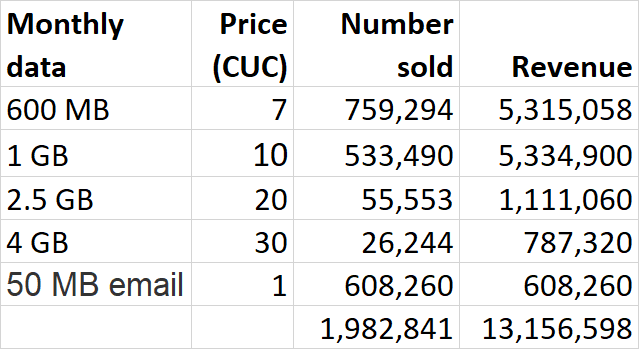 The source does not indicate the speeds of these services and it would be interesting to see them normalized for per-capita income as an indication of affordability, but there seems to be room for price cutting in Cuba. Regardless of the deployment and pricing of 3 and 4G mobile Internet access in Cuba, both should be regarded as stopgap measures and plans should be made for 5G deployment. ETECSA initially restricted 4G access to those with 2.5 GB per month data plans. 14Ymedio reports that they have now opened 4G up to those with 1.5 GB per month plans in spite of having temporarily run out of the USIM cards that are required for 4G access. (USIM cards obsoleted SIM cards, which were used in 2G phones and could be used, with the loss of some features, in 3G phones). The article also states that they are adding 50,000 new mobile accounts per month, as opposed to the 5,000 per day reported above. They say that 40% of those users generate some sort of data traffic -- for Nauta email, MMS messages or Web browsing. What could the Cuban government do with Russia-style access to Facebook data? What sorts of fake news could they create and circulate on YouTube and Pinterest? What can be done to control the dark side of the Cuban Internet? 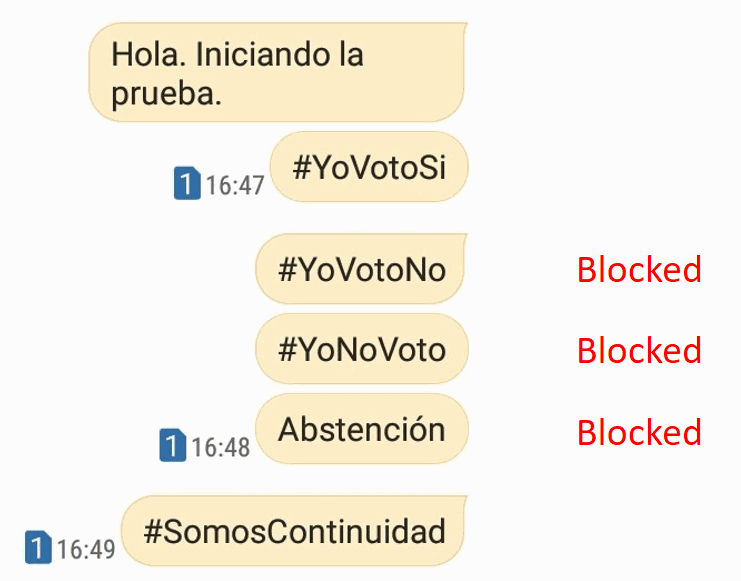 Cuba is about to hold a referendum on a proposed constitution that the government supports and Eduardo Sanchez posted a test showing that SMS messages with anti-referendum terms like #YoVotoNo, #YoNoVoto or abstención are being blocked. This form of censorship is not new. 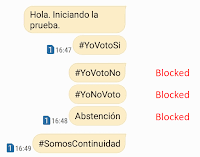 In 2016, 14Ymedio posted a story documenting the blocking of SMS messages containing terms like "human rights" or the names of certain dissidents. While this blocking appears to occur only on SMS messages, as opposed to Internet texting, one can imagine similar screening of Internet traffic. 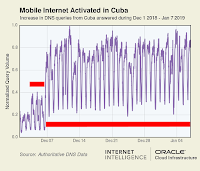 The 3G mobile connectivity that Cuba began deploying last month appears to have significantly increased Internet activity, making this rudimentary censorship more significant. But screening texts for key words could be just a start. As shown here, Cubans are already users of Facebook, YouTube and other social media services. 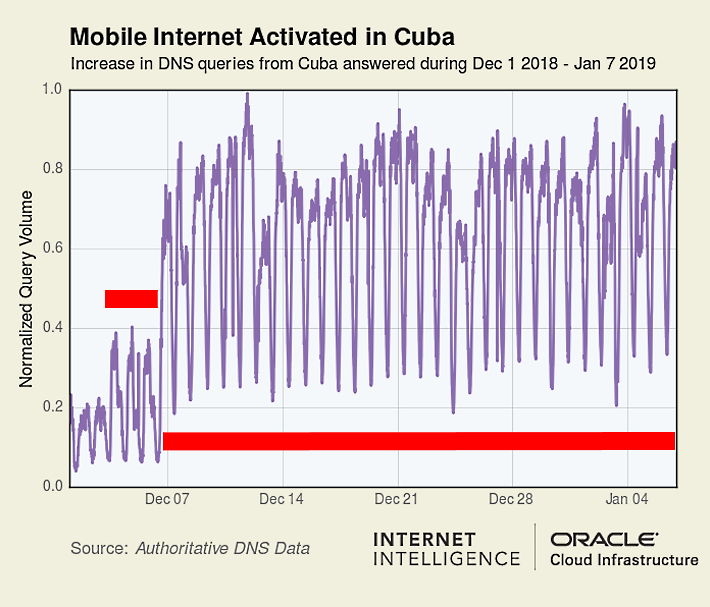 I have long advocated improved Internet access in Cuba -- most recently suggesting several reasons for making 3G mobile access free as soon as capacity would allow, but what might the Cuban government do with Russia-style access to Facebook data? What sorts of fake news could they create and circulate on YouTube or Pinterest? In the early days of the Internet, we naivly saw it a force for Good, but China, which came online in 1993, showed us (& Cuba) the dark side. Like China in the 1990s, Cuba is a near "green field." What can be done to control the dark side of the Cuban Internet? 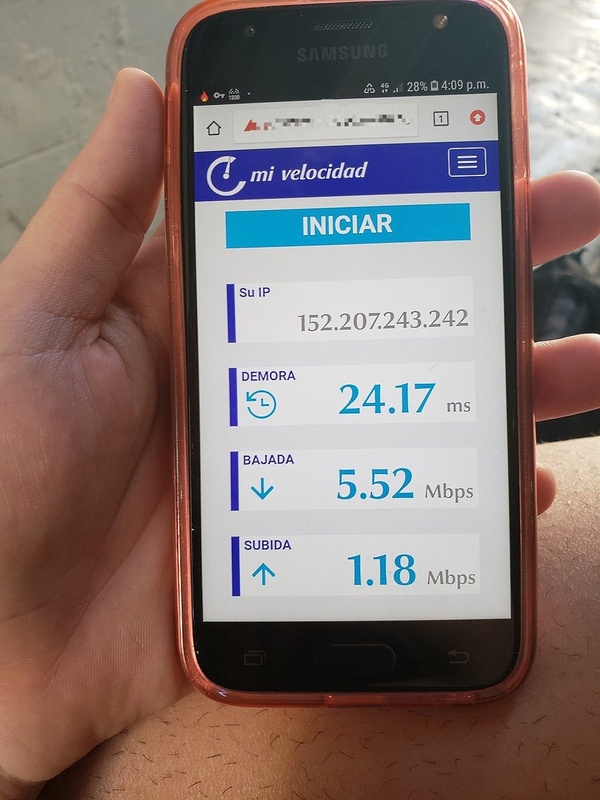 I have seen mobile speed tests in Havana ranging from .5 to 1 Mbps and want to put that in context. In the 1990s, the ITU specified a minimum speed of 2Mbit/s for stationary or walking users and 348 kbit/s in a moving vehicle. Commercial service began rolling out in the early 2000s. I have seen anecdotal reports putting 3G speed in Havana as being between .5 and 1 Mbps. I had a hard time finding any actual 3G performance data since service providers have nearly all converted to 4G LTE, but I found two sources. One, from 2014, reported 3G speeds ranging from 384Kbps to 2Mbps, but they gave no explanation of how they gathered their data. The other is recent and better documented. Professor Peter Heinzmann the University of Applied Sciences, Rapperswil Switzerland sent a report on 3G speeds in Switzerland for the year between December 16 2017 and December 16 2018. They took 16,942 download measurements from 1,762 devices and 16,766 upload measurements from 1,757 devices. The median download speed was 4 Mbps and the mean was 6 Mbps. 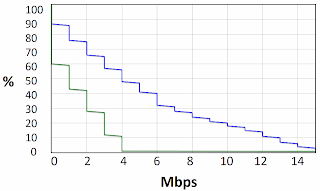 The median and mean upload speeds were 1 Mbps. These speeds are well above those reported so far in Cuba. Since the Cuban towers were installed recently and some in Switzerland might be quite old, I suspect that the difference is due to congestion at the towers or in backhaul. Only ETECSA really knows what is going on. COLUMN: What's the real measure of a society? La Habana, 21 abr.— La obra de la artista cubana Susana Delahante propone hoy abrazar las raíces asiáticas y africanas como signo de orgullo durante la XIII. Two Cuban doctors were abducted near the Kenyan border with Somalia in a bold attack that officials say was probably linked to the Shabab militant group. The Trump administration declared that the deal violated trade laws because the Cuban federation was part of the government in Havana. The sanctions, senior administration officials said, could force a “recalibration” of Venezuela’s relationship with Cuba, which has been defending the government of President Nicolás Maduro.